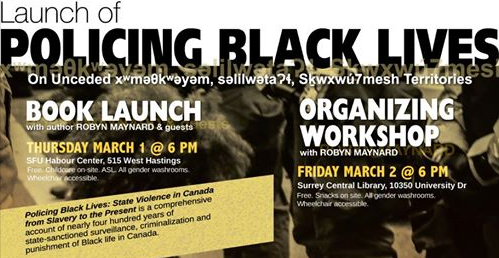 Thursday, March 1 (6:00 – 9:00 pm): Policing Black Lives Book Launch at SFU Harbour Centre, Vancouver. 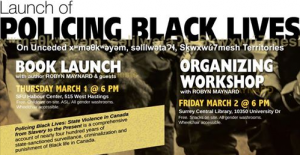 Join us for a book launch of Robyn Maynard’s Policing Black Lives: State Violence in Canada from Slavery to the Present. The book is a comprehensive account of nearly four hundred years of state-sanctioned surveillance, criminalization, and punishment of Black life in Canada. Get more information here. BC Civil Liberties Association is a sponsor of the event. Thursday, March 1 (7:00 – 9:00 pm) OR Thursday, March 15 (10:00 am – 12:00 pm) Wills, Trusts and Estate Planning Workshop – Plan Institute Office, Suite 260 – 3665 Kingsway, Vancouver. Cost: $65.00 per person or $90.00 for two. Register online here. Tuesday, March 6 (7:00 – 9:00 pm) Registered Disability Savings Plan (RDSP) – teleseminar by phone/computer. Cost: free. Register online here. Monday, March 12 (7:00 – 9:00 pm) Registered Disability Savings Plan (RDSP) – Plan Institute Office, Suite 260 – 3665 Kingsway, Vancouver. Cost: free. Register online here. Friday, March 2 (12:00 – 1:30 pm): Disability Alliance BC presents Snack & Chat at #204 – 456 West Broadway, Vancouver. On PWD or interested in PWD? Come learn about disability benefits and meet new people! Please call Val at 604-875-0188 to register or email feedback@disabilityalliancebc.org. Registration required. Find more information here. March 2-9 (various dates): Courthouse Libraries BC and LSS present free webinars on various topics. Friday, March 2 (12:00 – 1:30 pm) Interjurisdictional Support Services: What’s New in ISO? – will outline recent changes to the BC Interjurisdictional Support Services, the IJSS website and the ISO forms. Register online here. Tuesday, March 6 (12:30 – 1:30 pm) Refugee Law Basics – for lawyers and advocates who have minimal or no experience in refugee law. Register online here. Friday, March 9 (12:30 – 1:30 pm) Gladue Submissions: A Guide to Preparing Gladue Sentencing – for criminal defence lawyers and front line workers who may be assisting a client in preparing for criminal court. Register online here. March 2-29 (various dates): MOSAIC presents 2-day workshops on Canadian Citizenship Preparation in Burnaby, Vancouver, and Surrey. Join us for a 2-day workshop to prepare for Canadian citizenship! The session will be facilitated by MOSAIC staff. We will talk about topics such as Canada’s history, symbols, government and geography, as well as the rights and responsibilities of citizenship. Register online here. March 3-29 (various dates): the BC government is hosting community meetings across the province to help inform its Poverty Reduction Strategy. March 6-20 (various dates): Centre for Feminist Legal Studies presents lectures and a symposium at the University of British Columbia, Vancouver. Tuesday, March 6 (12:30-1:30pm) – Shauna Labman, Faculty of Law, University of Manitoba – 24 Years Later: A Comparative Analysis of the Immigration and Refugee Board’s Gender Guidelines (1993) and Sexual Orientation and Gender Identity and Expression Guidelines (2017) – Room 122 in Allard Hall, UBC Vancouver. Open to everyone. Friday, March 9 (1:30–6:00 pm) – A symposium in honour of Professor Judith Mosoff and launch of a special issue of the Canadian Journal of Family Law – Terrace Lounge, 4th Floor, Allard Hall, UBC Vancouver. RSVP to eventassistant@allard.ubc.ca. Tuesday, March 20 (12:30-1:30pm) – Sarah Hunt, Geography/First Nations and Indigenous Studies, UBC – Decolonizing Access to Justice for Indigenous Women: Reflections on an Inquiry in Process – Room 122 in Allard Hall, UBC Vancouver. Open to everyone. Thursday, March 8 (12:30 – 1:30 pm): Liu Institute for Global Issues presents Rebuilding Canadian Environmental Law and Policy at the University of British Columbia, Vancouver. Join us for this special event with Jonathan Wilkinson, Member of Parliament for North Vancouver and the Parliamentary Secretary to the Minister of Environment and Climate Change. This event is part of the School of Public Policy and Global Affairs’ new Policy in Practice series. Register online here or email tina.liu@ubc.ca. Thursday, March 8 (7:00 – 9:00 pm): UVic Law presents The Role of the Sacred in Indigenous Law and Reconciliation at Alix Goolden Hall, University of Victoria. Two of UVic’s leading Indigenous scholars, John Borrows and Val Napoleon, will discuss the sacred in Indigenous law and reconciliation. They are key figures in UVic’s proposed dual-degree program in Canadian law and Indigenous law. In this conversation, they will explore the nature of Indigenous law and pose important – and challenging – questions about the role of the sacred. This is a free event, and everyone is welcome. Registration is required. March 8-9 (various dates): Seniors First BC presents a couple of workshops for seniors in Burnaby. Friday, March 9 (7:00 – 9:00 am): West Coast LEAF presents the 2018 Equality Breakfast at the Fairmont Hotel Vancouver. 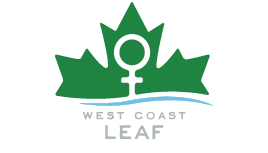 Celebrate West Coast LEAF and International Women’s Day all in one fantastic morning! Keynote speaker: Roberta A. Kaplan, history-making litigator and champion of the marriage equality fight at the US Supreme Court. Emcee: Gloria Macarenko, CBC News host. Buy ticket here. March 12-13 (various dates): Nidus presents free webinars on Dying without a Will. Tuesday, March 13 (6:00 – 8:00 pm): West Coast Environmental Law and the UBC Environmental Law Group present Canada’s New Wave of Environmental Law Reform: Tide Going In or Out? at Peter A. Allard School of Law, UBC Vancouver. With environmental pressures mounting in Canada and worldwide, the need for strong environmental laws has never been more important. As a respected lawyer and Leader of the Green Party of Canada, Elizabeth May will share her unique perspective on the legal profession and the evolving legal landscape in Canada. Free admission. Wednesday, March 14 (1:30 pm – 4:00 pm): Law for Nonprofits presents the New Societies Act Transition Workshop at the Alliance for Arts + Culture in Vancouver. There are more than 27,000 non-profit societies in BC, providing services and programs that touch virtually every citizen. All pre-existing BC societies need to transition to the new BC Societies Act. The Act includes many significant changes. There is a two-year transition period by which time all societies in BC will have to have filed a transition application. This workshop will provide your society with the information it needs on whether to make any bylaw or policy changes necessary for your society to transition to effectively function under the new Act. The fee is $50. City of Vancouver Bursaries available. Get more information and register online here. Monday, March 19 (6:00 – 8:30 pm): NSSN SRL Support Group Meeting at 2772 East Broadway Ave, Vancouver. 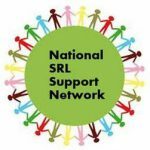 We offer social support and share legal resources in a confidential setting. This group is run by Self Represented Litigants for Self Represented Litigants. We have a great group with lots of experience to share! We meet monthly. Spaces are limited – RSVP by email: NSSN.vancouver@gmail.com. March 23-29 (various dates): Courthouse Libraries BC and the Pro Bono Students Canada Family Law Project present free public education sessions for self-represented litigants in Vancouver and online. Friday, March 23 (10:30 am – 12:00 pm) Family Law Financial Disclosure in BC – Vancouver Courthouse Library & also available as a webinar. For self-represented litigants who are applying or responding to an application for child support, spousal support, or property division and will need to complete financial disclosure. Get more information and register online here, or email familylawproject.pbsc@gmail.com. Thursday, March 29 (10:30 am – 12:00 pm) Family Violence – Vancouver Courthouse Library & also available as a webinar. self-represented litigants who are experiencing family violence. Get more information and register online here, or email familylawproject.pbsc@gmail.com.